Whether you're interested in creating a handmade gift or simply looking for a way to keep busy on a rainy day, there are plenty of last minute craft ideas for you to try. In a perfect world, crafters would plan ahead for all their projects. However, sometimes other obligations get in the way of your creative pursuits. This is why it's a good idea to have a few quick craft ideas handy. When you're in a crafty mood, you don't want to have to stop to shop for supplies or read about how to master a complicated new technique! If you have some glue, scissors, and a few old magazines lying around, you have all the materials you need to make a collage. 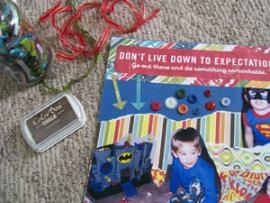 This is a fun and inexpensive project that provides an excellent way to stretch your creative muscles. Frame your collage to make creative wall art. Laminate a large collage for use as a placemat. Use a collage as a background for a scrapbook layout. Make collage-style greeting cards to send to family and friends. Create a collage in a tag shape; then add a tassel for cute bookmark. 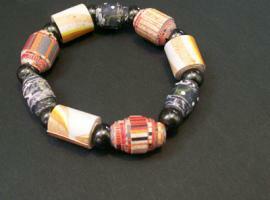 Need a new bracelet or necklace to jazz up your wardrobe? Instead of rushing out to buy beads for your project, try making your own! You can cut scraps of colored paper from magazines, junk mail, old greeting cards, wrapping paper, scrapbook paper, or just about anything else you can imagine. 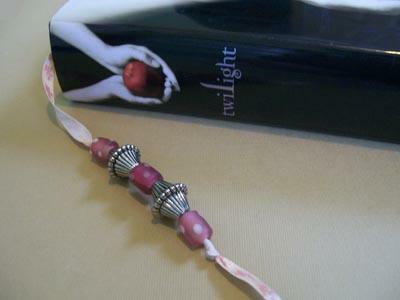 Roll the paper strips around a thin needle, coating with decoupage medium to seal and protect the finished bead.If you're not interested in making jewelry, you could try your hand at using beads and ribbon to make beaded bookmarks. If you're looking for a clever project that you can do with your children, consider transforming their pile of broken crayons into colorful new drawing tools. This is a unique way to teach children about the importance of recycling. 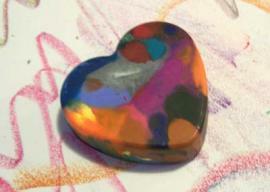 Your handmade crayons can be made in a variety of shapes, so this project is perfect for almost any occasion. Does your child get invited to birthday parties on a weekly basis? Wrap a few of your handmade crayons up with a sketchpad or coloring book and you have a wonderful gift for any young artist. Origami is great for people in search of last minute craft ideas, because all you need is some paper and a bit of time. While specialty origami paper will make your projects look a bit more polished, you can improvise by folding with copy paper, scrapbook paper, wrapping paper, or printable origami paper.